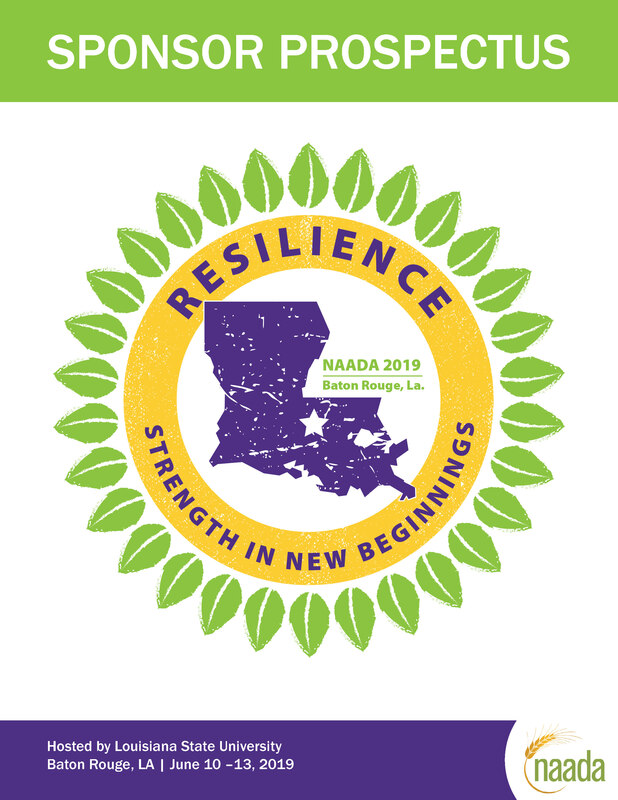 Plans are well underway for the 2019 NAADA Annual Conference hosted by Louisiana State University in Baton Rouge, LA. The NAADA Annual Conference is the largest gathering of Agricultural professionals dedicated to raising money, recruiting students and developing relationships to advance the institutions they serve. As an organization, our members represent over 1,000,000 Ag alumni and 100,000 students across the country. Through our sponsorship program, we have helped our contributing organizations reach their current and future target audiences, find qualified employees, advertise job vacancies, and expand their visibility overall. We hope you will want to be a part of this! Louisiana agriculture has a long history of weathering the storm. We are survivors in a beautiful but very tough environment. Every obstacle presents us with an opportunity to create a new beginning. As stated in the NAADA mission statement, we, with the help of our stakeholders, continue to focus on advancing agriculture through new beginnings for future generations. Provide programming that creates meaningful experiences for NAADA members to take back to their home institutions. Use southern hospitality as a platform to introduce new members to the NAADA family and encourage networking with our seasoned members. Inspire NAADA members to create new beginnings and strategic goals for their teams. Share with our NAADA family the diverse gumbo of a culture that makes up beautiful Louisiana and showcase that our uniqueness lies in our strength. Encourage other institutions to embrace bringing their own diverse and unique ideas to the table. Over the past few years this sponsorship program has evolved to increase the value to your organization for supporting this event. For example, your sponsorship now comes with year-round visibility on the NAADA website. For a complete listing of benefits, please refer to page 2 of this prospectus. This is truly an event not to miss! 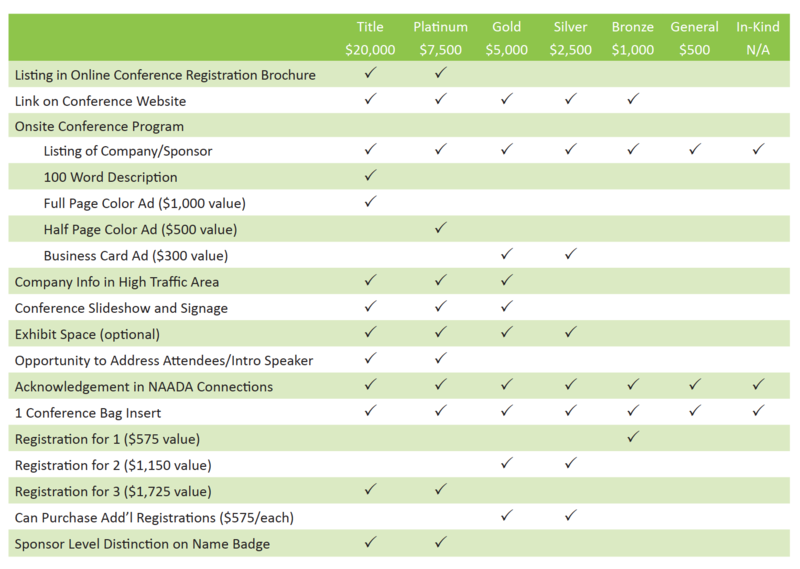 Sponsoring at the Title through Silver levels allows you to select an event to sponsor. All electricity, shipping questions can be directed to NAADA Event Planner.